According to Vanguard, the local government boss said: “We operate as a family in Lagos, and we obey our leaders. There is already an order that we should commence marketing Sanwo-Olu to the grassroots where power belongs. 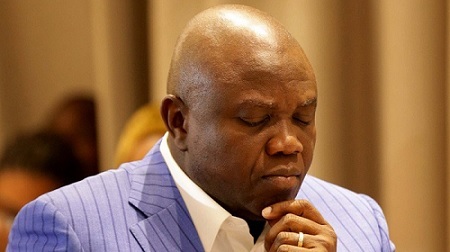 Before now, the Ambode re-election campaign had not commenced fully, but the latest development means that we are not going to work for him. Nevertheless, there were still calls for caution from within Tinubu’s camp as some were also drawing the attention of the political leader to the possibility of the Peoples Democratic Party, PDP exploiting the situation to win over the state. Meanwhile, the calls for caution on the combatants was against the background of signals of still unsettled issues that arose from previous internal party nomination exercises. “Don’t forget that many people are still unhappy because past promises of compensation for loyalty to the party are yet to be settled. These people can go anyway so if this is God’s way of containing Asiwaju you can never tell,” one senior party official told Vanguard on the condition of anonymity yesterday.